At the beginning, this was simply an idea. I didn’t really know where I was going to go with this. The truth is I wanted to start something but I didn’t know what. So this is the story of why I started a YouTube channel. A friend of mine had just started his channel. When he first started he wasn’t sure what he was going to do. He just wanted to start doing something, putting him self out there and learning all about the nuances of creating a YouTube channel. I watched with interest and loved the fact that he was challenging himself and putting himself out of his comfort zone. The truth is too many of us talk about what we want to do and never actually do what we say we will. So as I was about to go to Asia on my Nomadic 2017 year as a digital nomad, I thought it was worth starting a channel as well. What to make the channel about? I didn’t really have a set purpose. The truth is I didn’t know what I wanted to talk about in my videos. I just knew I wanted to start doing something. My very first video I simply started with to Vlog or Not To Vlog (in February 2017). It was a simple enough video, filmed on a beach on the island of Koh Samui. From there I went on to make 10 more in this series. Unplanned as always! Why I started a YouTube Channel! As with a lot of my projects I often don’t know exactly what I want to do until I started. So the name of the series became Unplanned As Always. Whilst travelling it was easy to find content. All I was really doing was filming the interesting part of my trip. From there I built up a collection of 10 videos. 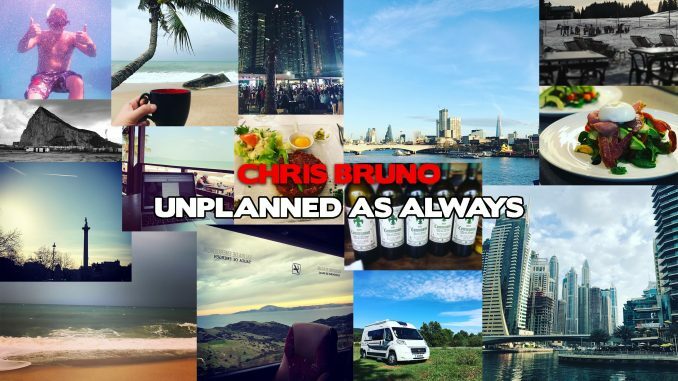 You can find the full playlist by clicking here – Unplanned as Always. When I first start anything like this I am acutely aware that you’re starting without an audience. Too many people will start something and expect to suddenly find they have a huge following. That’s just not how it works. Slowly my videos started to be found by some people and, still to this date, videos I made every six months ago are still being found for certain search criteria. I enjoy making the videos. That’s the most important part of any new project you adopt. You wanted to be excited to do it. You want to enjoy doing it. When something becomes a chore there’s nothing worse. That can be a job, a project or a hobby, once it’s no longer enjoyable, it’s time to move on. That’s an easy one. Songkran in Chiang Mai, Thailand. The New Year celebration could be described as the biggest water fight you have will ever take part in. Not only did I have an amazing time at the event, I also had a chance to film water fights, people throwing buckets of water, people driving by with ice cold water, but I also managed to capture what it was all about. People getting together, enjoying a few days with friends and family and most importantly, celebrating in style! The truth is, in the west we don’t really have days and events that bring together such a mass of population, tourists, locals, everyone, in such an incredibly fun, albeit drenched, way ever! Funnily enough, my favourite video isn’t the most popular video. In fact, the most popular video (in terms of views) may well be a massive disappointment for most people that find it. The video, titled “Thai Massage, No Happy Ending!” may well be popping up in people’s search results, but for the wrong reasons. Oh well, I’m sure they’ll move on quickly and find what they’re looking for. As my first try at a YouTube channel, and with a limited number of videos (10 episodes in the Unplanned As Always series) I’m pretty happy that the videos keep being found or watched. I was never expecting to hit 100,000’s of views, but I enjoyed what I created and I plan on starting season 2 pretty soon. In fact at the end of this month when the next stage in this Nomadic 2017 year begins. 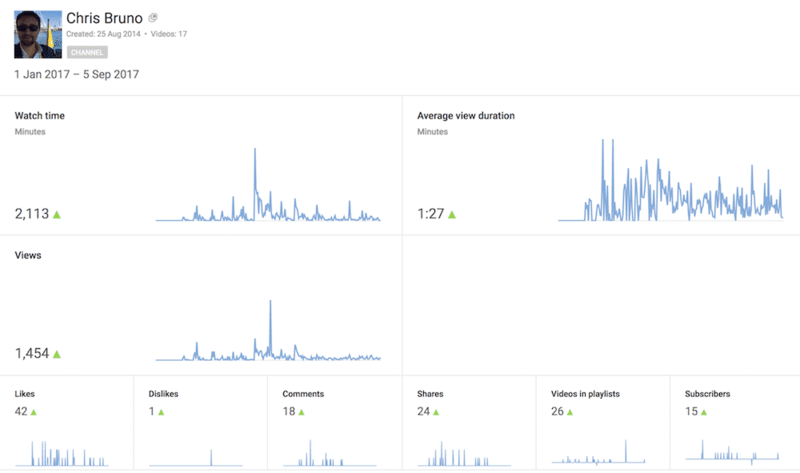 You can see in the stats above, since starting the channel, I’ve had nearly 1,500 views, and over 2,100 minutes of watch time. I’m pretty happy with that. Again, it’s only the beginning. It’s all about learning, understanding and growing in to a new platform/channel.